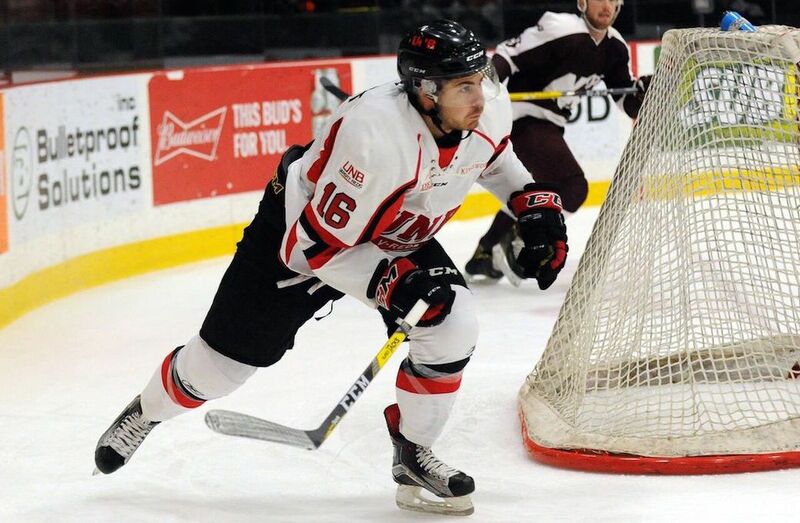 Maillet, a Business Administration student from Terrebonne, Québec, becomes the first UNB player to be named Player of the Year since Hunter Tremblay in the 2009-2010 season, and the fourth in the program’s history. Other U SPORTS award winners announced during the All-Canadian Gala were UNB’s Jordan Murray, Defenceman of the Year; Saskatchewan’s Jordon Cooke, Goaltender of the Year; Concordia forward Anthony De Luca, Clare Drake Award (Rookie of the Year); Calgary forward Elgin Pearce, R.W. Pugh Award (Most Sportsmanlike Player); Saskatchewan’s Dave Adolph, Father George Kehoe Memorial Award (Coach of the Year); and Ryerson forward Aaron Armstrong, Dr. Randy Gregg Award (Student-Athlete Community Service). The 2017 U SPORTS Cavendish Farms University Cup, hosted by UNB, gets underway Thursday, March 16th at the Aitken University Centre. The action closes on Sunday, March 12 with the gold medal final, live on Sportsnet 360 (1 p.m. AT). Saturday’s semifinals are also live on Sportsnet 360 (12 p.m. AT & 4 p.m. AT), while the quarter-finals and the bronze medal match are set to air on USPORTS.LIVE. 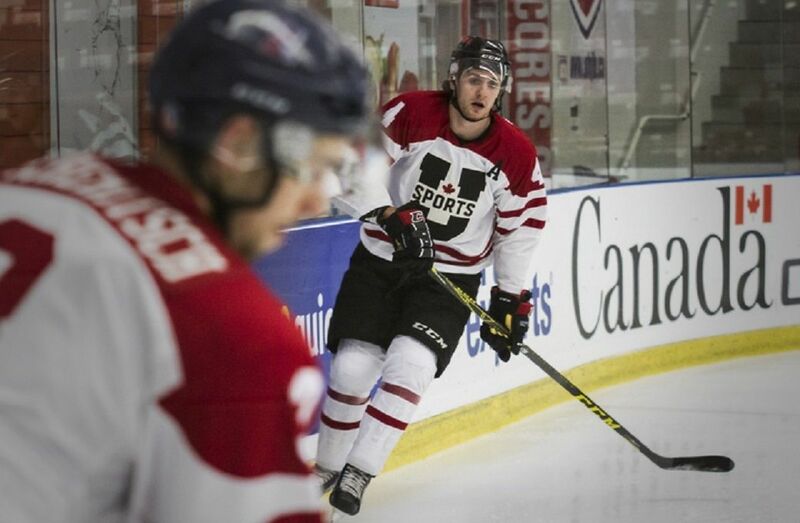 He’s been an AUS First Team All-Star three consecutive seasons, and was a First Team U SPORTS All-Star in 2014-15. In 2013-14, Maillet was a member of the AUS All-Rookie Team and an AUS Second Team All-Star. For a second consecutive season Jordon Cooke has been named Canada West and the U SPORTS top goalie, after posting a 19-4-2 record, 1.94 goals-against average, and a .929 save during the 2016-17 season. The former Kelowna Rocket was the backbone of Saskatchewan’s tremendous season, which saw the Huskies claim the conference regular season title for a second straight season. The 2016-17 campaign has been a phenomenal one for Cooke, as the Leduc, Alta., product was also named to Canada’s team at the Spengler Cup in Davos, Switzerland over the holiday break. Cooke’s four shutouts this season tied the Canada West single-season record, and his seven career shutouts are the most among any active Canada West goalie. The other nominees were forwards Hunter Garlent of Saint Mary’s and Tyson Baillie of Alberta. Veteran forward Elgin Pearce becomes the first player in U SPORTS Men’s Hockey history to win the R.W. Pugh Award for Most Sportsmanlike Player three times. In his four seasons with the Dinos, Pearce has consecutively won the award since the 2014-15 season. Named the Canada West Player of the Year in 2016-17, Pearce’s 20 goals scored were the most in the conference. He was one of just four players to reach the milestone in the nation. Pearce added 11 assists for 31 points in the regular season, just four shy of Connor Rankin from the Mount Royal Cougars. In his 24th season at the helm of the Huskies, head coach Dave Adolph guided Saskatchewan to another first-place finish during the regular season, earning him the 2016-17 Canada West and U SPORTS Coach of the Year Award. The win marks the third time in Adolph’s career he has claimed the conference Coach of the Year Award (1997-98 and 1999-00) and first on the national stage. Adolph’s 421 career conference wins are the most all-time. During his tenure at Saskatchewan, Adolph has guided his team to 20 consecutive postseason appearances, six Canada West championship titles and 12 appearances at the University Cup, most recently finishing fourth. During his career as a Huskie hockey player and co-captain, Adolph and his teammates captured three Canada West championship titles, winning Saskatchewan’s only University Cup in 1983. "The storied success of our men’s hockey program is due in no small part to the continued efforts of Coach Adolph,” said Huskies athletic director Basil Hughton. “He continues to do an excellent job in bringing top notch student-athletes to our program. This year is another example of that. This recognition is extremely well-deserved and an acknowledgement of his ongoing efforts with Huskie Hockey." "Aaron is a tremendous leader who has made a huge impact to the overall developing culture at Ryerson,” said Ryerson interim head coach Johnny Duco. “An Academic all-Canadian who leads the charge not only on the ice but in his community as well. Aaron exemplifies what it is to be a Ram every day and I could not think of a more deserving recipient of this award."